Unless you have cash you have to get a mortgage to buy a house in Seattle. Getting approved for a mortgage to buy a house is not hard. But it does take some skill to make sure you are getting the right loan for you and your family. I remember distinctly getting my first mortgage for my first house. It was beyond stressful. I kept thinking of all the late payments I made on the utility bill (which really doesn’t impact your credit). And all of my parking tickets (still an issue on the credit). To make matters worse, my first lender was not a showstopper of a lender, and I needed my parents on the loan to help me buy my first house. The bottom line is that I was not prepared to be a smart Diva Dweller for the process. As a result, there were a ton of delays. Like I said…beyond stressful! Copies of Any Statements Showing Your Investments (401K, Retirement Accounts, Money Market, Stock, etc). Or where your down payment is coming from? Step 2: Where is Your Down Payment for the Home Coming From? Long gone are the days of ZERO down loans or down payment assistance programs. In order to get a mortgage, you need some cash to get a loan. Team Diva has worked with some douche-bags of online lenders who promise the world and deliver nothing, and we have worked with the best in the industry. Contact us, and we will make sure you get started with a professional. Ask each lender for a loan worksheet that details out the interest rate and costs for the loan. Your credit score and down payment amount predetermine your interest rate. The only real differences are the costs to get the loan between the lenders or who has the best program that suits your needs. Sometimes lenders have investors who are doing 10% jumbo loans. That might be exactly what you need to make your Diva Dwelling dream come to life. Choose a lender and stick with them. You might be writing up to four offers to finally win the house of your dream. You cannot shop a lender once you are in contract without risking losing your earnest money and potentially delaying the process. And whatever you do, do not go with an online lender. They do not have the savvy to get you in a home in Seattle. Choose someone you like and work out the details. Look for a winning track record, a lender who looks ready to prepare you to win a multiple offer. There are some questions you can be asking to help you determine a lender’s expertise. What type of programs would you recommend to be a winner in this market? Can you explain what pre-paids are? How much should I budget for pre-paids? What are all of the closing costs I can expect? Are there any unknowns in my file? Are you giving me a pre-qualification approval or am I fully approved through underwriting? What is the best way for me to reach you if I have questions through the process? Now you have the list for Getting Approved for a Mortgage Like a Smart Diva Dweller! Remember interest rates fluctuate depending on numerous factors. The primary being the bond market. The bond market can go up and down based on government activity, the jobs report, and a multitude of other market factors. But once you are approved for a mortgage, we can adjust as needed with the market to get you into an awesome Diva Dwelling. Give us a call if you want to run by a loan worksheet or have questions about the lending process. There is nothing we love more than helping folks become a Smart Diva Dweller. 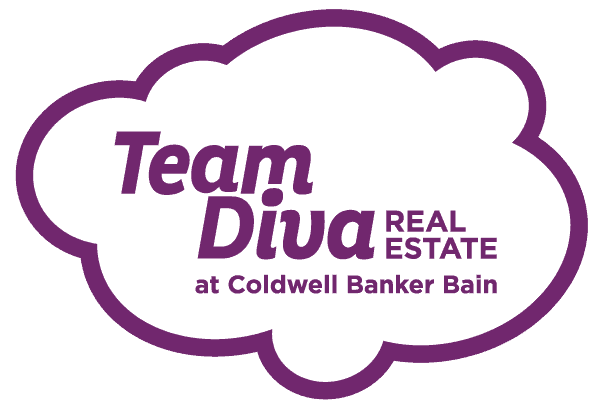 Email us at thediva@teamdivarealestate.com or call/text us at 206-271-0264!